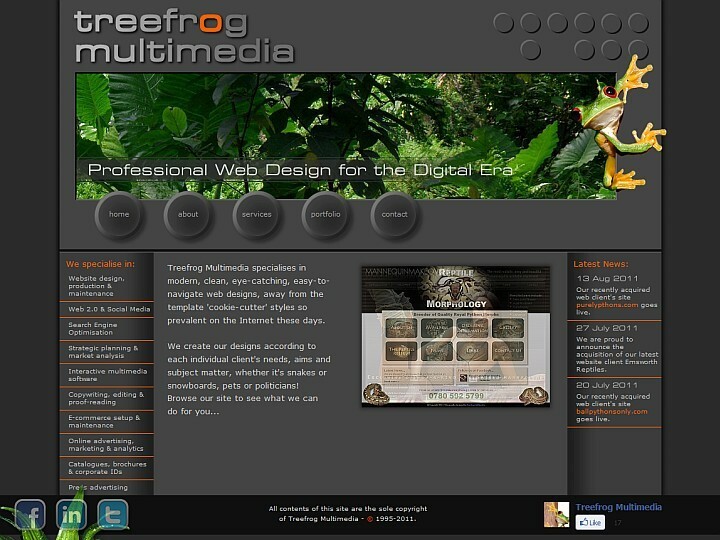 Ely Web Design agency Treefrog Web Design, based near Cambridge in Cambridgeshire UK, specialises in modern, clean, eye-catching, easy-to-navigate websites. We pride ourselves on our unique and original designs, far from the 'template' styles that are so prevalent on the Internet these days. Our philosophy is that websites are like shop windows - the owners know what's going on inside, but if the outside fails to impress, potential customers will just walk past and go to the next site that attracts their attention. The true test of a good website design is, if you remove the logo, will people still know whose website it is? We create our designs according to each client's individual needs, aims and subject matter, whether it's snakes or snowboards, property or politicians. We optimise all our sites for search engines, and can maintain/update the sites for you or build them so that you can do this yourself. Browse our site to see what we can do for you, and feel free to contact us to discuss your requirements. 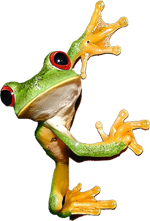 All contents of this site are the sole copyright of Treefrog Web Design - © 1995-2019.